Gloss is more high profile, it adds a high gloss sheen often used on brochure covers, menus, magazine covers or presentation folders. It is definitely the high impact option. 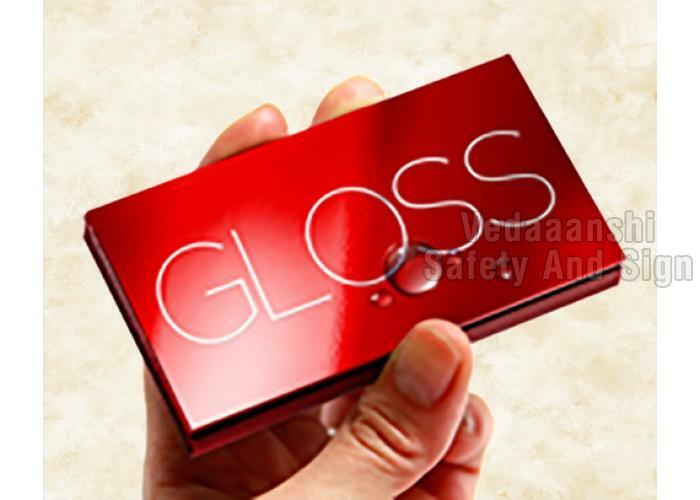 Gloss lamination forms a protective coating over the print which makes it suitable for items such as menus , posters , magazines , Visiting Cards , Advertising Banners etc.